Inventors today have a long road ahead of them. After all, you have to dream up that perfect idea, then take the right steps to bring it into existence. Along the way, there are plenty of mistakes that are easy to make that could lead you to serious problems and setbacks. Avoiding them is important. 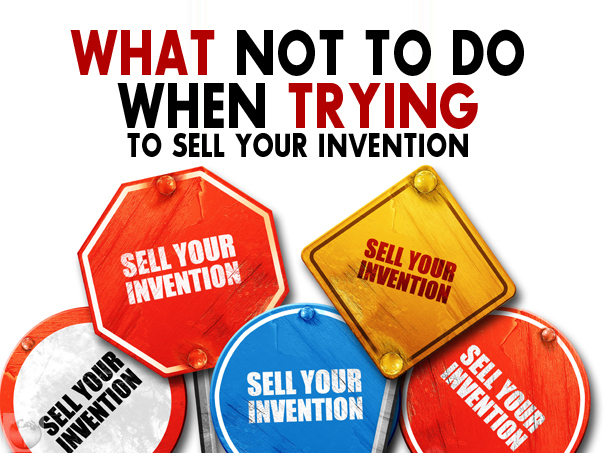 With that in mind, it�s worth taking a quick second to review some of the key things you shouldn�t do when trying to bring your invention to market. If your idea is viable, it needs to be protected from intellectual property thieves. In short, you need a patent or you run the risk of losing control of your idea entirely. It seems like a DIY step, but the reality is that if your patent application isn�t written in the best way possible, you could be denied. Even worse, your idea could be stolen outright once denial occurs. Having a professional help you in the process is a good idea. Many people assume that there is only one path they can take to bring their idea to the public. But you don�t necessarily have to do it all yourself, and you don�t have to be completely reliant on investors. Weigh the pros and cons of each option and find the one that�s right for you � don�t limit yourself. You not only need a detailed sketch and plan for your product itself, but also a business plan that will help you take the right path to success. Becoming an inventor is almost like going into business for yourself, so be sure you craft the right plan to help you reach your goals.